From the moment I saw the cover for The Kicking the Bucket List I knew it was a book that I needed to read. Even without reading the synopsis I wanted to know more. Being intrigued with the idea of a bucket list myself, I couldn't wait to dive into this book and visit this concept. At the reading of their recently departed mother's will, estranged sisters Rose, Fleur and Dee find out they will have to wait one year before getting their inheritance. Why? Well, Iris, their mother knew the girls hadn't got on for years and decided to create a bucket list for the girls to complete. Simple enough? Not quite as all three sisters have to participate in order to receive what they are owed. Throughout the year each sister goes on a journey not just of self-discovery but of finding out that family really does matter. The concept behind this story was one that I found to be really unique and not like anything I have read before. The thought of a mother still slightly bossing her children about from beyond the grave could be seen as comedic but also emotional. Most people would love to hear from a loved one after their death but this way was full of feeling. You could feel the emotions coming off each of the sisters as they were connected with Iris. Quite heartbreaking to read at times if I'm honest. Despite the emotion, there was humour invested into the story, especially with regards to the activities the sisters had to do in order to complete the list. The Colonic and Zumba activities being my personal favourites. I couldn't stop laughing. Genius ideas and if Iris was real I would personally want to shake her hand. Adding comedy to the story was a great way to bring light to what is usually a devastating situation. Each sister had a different personality. Dee; sensitive, Rose; uptight and Fleur; free-spirited. This explains a lot about why they found it hard to get on. However, opposites do attract and we do learn that they can find peace with each other, get along and ultimately secure that sisterly bond. I loved watching their relationship get stronger through each activity and it did bring a tear to my eye at times. Family will always come first and that's what I felt got across in this story. 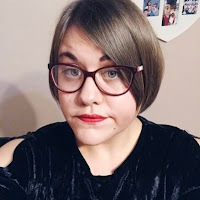 Despite all these positives, there were a few things that I just couldn't get on with. One was Daniel, the man overseeing the bucket list. I knew from the start that he was trouble even though I didn't want to believe it. Yes, there's going to be bad characters in every story but he was one that I just wanted to be killed off. Maybe an exaggeration? I'm not sure. Second was that halfway through I felt like the pace started to slow and that old ground was being walked on over again. This did cause a bit of boredom but as I was so invested into the story I carried on and I'm glad I did. 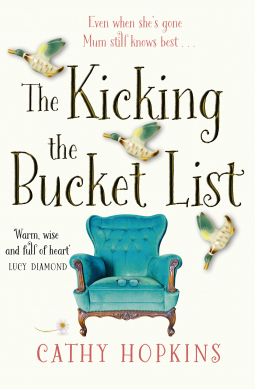 The Kicking the Bucket List was an emotional, heartwarming, touching read that was unlike anything within the genre that I'd read before. It had me crying, it had me laughing and it had me smiling. This book really does highlight the importance of family and how you should never let them go.